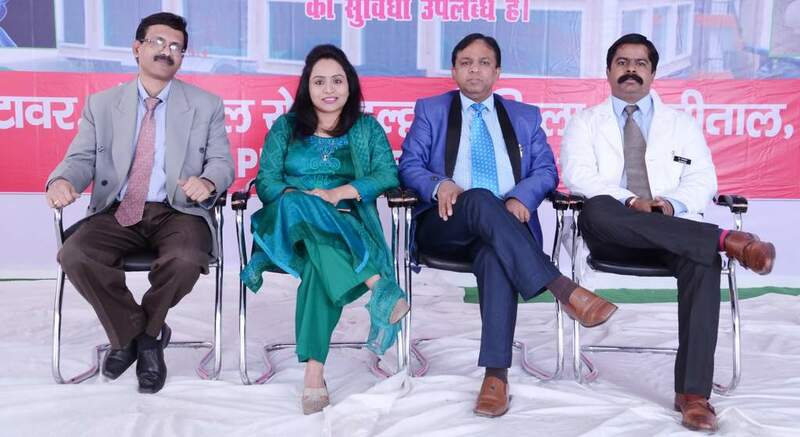 Brijlal Hospital has started a dedicated Cardiac care(Heart Care) and set-up Cath Lab in Haldwani- Uttarakhand, India. The cath lab is equipped with the latest equipment including Siemens Artis Zee, advanced 3D imaging and stent boost. The specialized team of best professional doctors has vast experience in the field of interventional cardiology and Pacemaker Surgery. The cardiac cath lab is currently the hub of activity in any cardiac unit considering the increasing need for angiography/ percutaneous techniques like coronary angioplasty (ballooning). The labs have been functional since October 2014. Our specialists are available for emergency care 24 hours a day. The unit is equipped with advanced cardiac monitoring and support systems and facilitates for complete heart checkup and treatment of all heart diseases and heart attacks. Centre has facilities for ECG, Tread Mill Test (T.M.T ), Echo Cardiography, Colour Doppler and Holter monitoring, has External & Internal, Pace Maker. We have facilities for the advanced management of all Cardiac patients by a well-trained team of super specialists, paramedics, and medical officers. © Copyright 2017. All Rights Reserved. Designed & Maintained by WEBGEAR.